Hiding in My Craft Room: Still Some Time! There's still some time to get crafty and get entered into this week's challenge and giveaway! You have until Saturday morning at 2AM PDT / 4AM CST! 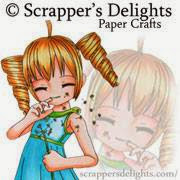 The Sponsor this week is Scrapper's Delights! The giveaway is 3 Digital Images from Scrapper's Delights! You can see all the challenge details HERE! Our sweet Samantha on the HIMCR Design Team who just had a baby had made her project for this week's challenge ahead of time but because of her baby coming a wee bit soon she didn't get it posted! 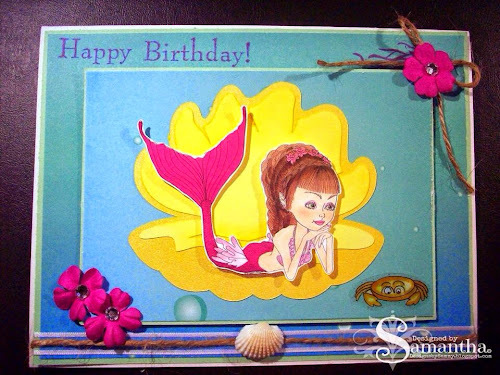 Please be sure and visit her blog to see all the details of her card. 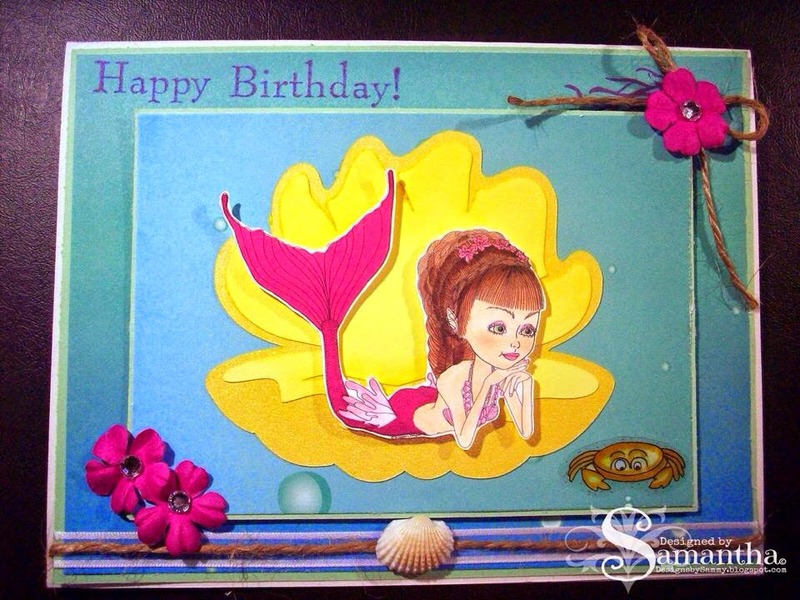 Her mermaid image is of course from Scrapper's Delights!